Despite only being on the pitch for the last 30 minutes of his side’s match against American Samoa, Henry Smith has already made a significant impact on the OFC U-19 Championship Qualifier at the Cook Islands. With time running out and the match still locked at nil-all, Samoa coach Valerio Raccuglia looked to his bench for inspiration and his decision to give Smith a chance paid rich dividends. With his teammates squandering a number of good opportunities in front of the American Samoa goal, the young striker was determined to make his mark. Fifteen minutes after entering the game he did just that by giving the lead to his side, much to the relief of his coach. However, the 19-year old wasn’t finished there and minutes later he doubled Samoa’s advantage before completing a stunning hat-trick deep into injury time. The confident super-sub couldn’t hide his delight following his eye catching cameo. “I am very talented and when I scored I felt happy and excited, I did it for my country,” he said. Smith who’s been playing sport all throughout his life, couldn’t be happier to pick football as his calling. Based on his heroics against American Samoa, his future could be bright. 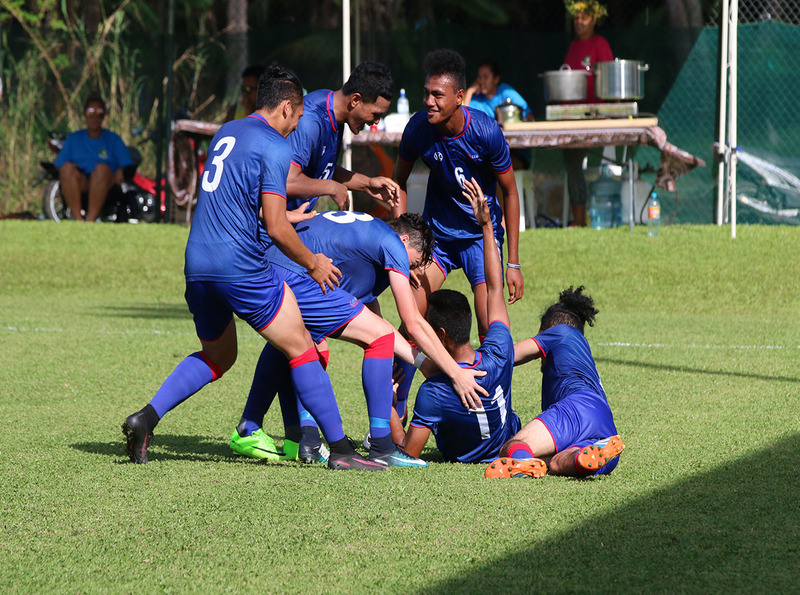 Smith is hoping he will get another chance to showcase his talent later today when Samoa plays hosts Cook Islands on Match Day 2 at the OFC U-19 Championship Qualifier.